We decided in the second week of january, that the time was right to conduct elections in the school. Koseli’s senior children had started exhibiting a sense of respnsibility and a keen interest in the activities of the school. In the past few months, the school has evolved quite a bit and my role in managing day to day activities has gone down considerably. From day one we have been trying to establish systems which took almost 8-9 months to show some significant results. The "Teachers Council" manages almost all the key affairs of the school. The working team gradually grew in size & responsibilities and now with the inclusion of children we suddenly felt rich in the number of working hands we had. All important issues were now discussed among the teachers and the senior students, opinions were sought and only then decisions were taken. It has been a wonderful learning experience for all of us so far. 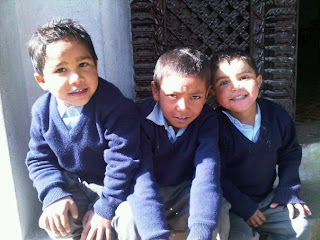 • encouraging their friends to come to school every day. They gave speeches in the assembly everyday outlining the issues they felt were most important to them. We also had an opinion poll and the results were very close to the final results. The voting went on smoothly with a 100% turnout of voters. I can very confidently say that it was one of the most fair election conducted in the world. Srijana & Rajesh were elected as headgirl & headboy and Manju & Paras as their deputies respectively. Our best wishes are with these children. They are already showing keen interest in their work. 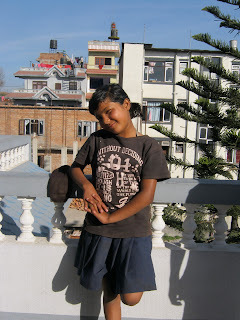 Srijana is 14 years old and studies in class six. She stays in the Sukhumwasi slum. Her father works as labourer at the airport. Including her, there are 5 members in the family. Her brother, Suresh also a student in Koseli is fighting with blood cancer. She loves to dance. She wants to be an airhostess when she grows up as she is always intrigued by the flying planes. She thinks the best thing about Koseli is the teachers. She also likes the education and environment of the school. As the Head Girl she would like to bring more discipline in the school. Rajesh is also 14 years old and a student of class six. His father is a mason and mother works as a daily wage labourer on construction sites. 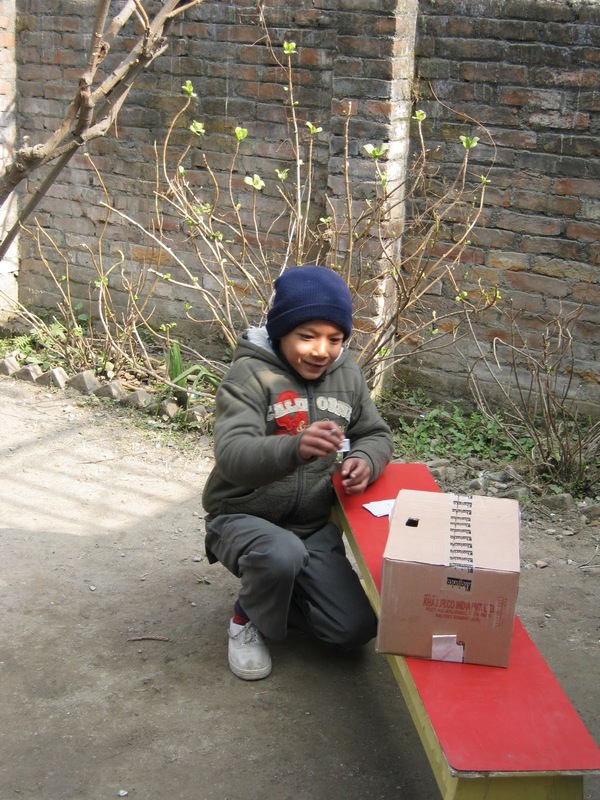 He has a younger sister, who, his mother leaves at a foster care centre run by an NGO when she goes out to work. Rajesh wants to be a famous man when he grows up, though he is not clear about his chosen field but he thinks it has to be related to academics. His biggest wish is to remain happy in all circumstances. He was pulled out of a regular school due to poverty, then for a couple of years he went to a school which he didn’t like much. What he loves most about Koseli is that there are enough books and stationery for all the children which they constantly fell short of in his previous school. The teachers are helpful and all their needs are taken care of. As the Head Boy he would like to improve the english speaking environment of the school. We wish our new team all the very best in their endeavours!